What if you updated the recipe of that amazing apple crisp you shared on your blog, and everyone’s Pins of it were automatically updated, too? Or if you wrote an amazing blog post a year ago, and you recently updated it, and every Pin’s description tag was updated, too? That’s the magic of Pinterest’s Rich Pins. 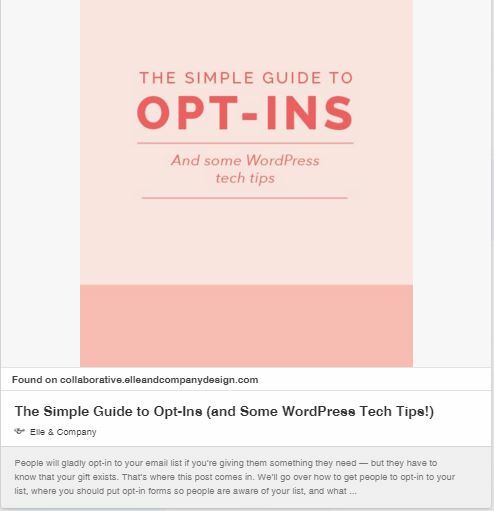 But with Pinterest’s developer language and your WordPress hosted site, you’re not sure how to get all that complicated code where it’s supposed to go and just how to get your blog set up to make it work. 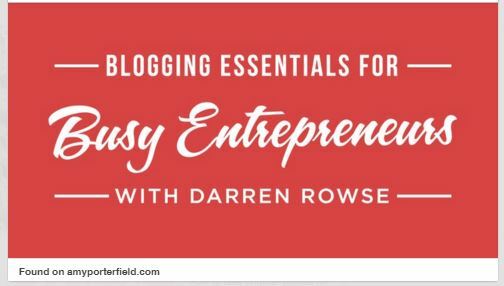 Don’t worry, this is the painless, step-by-step guide to setting up your WordPress blog to enable Rich Pins. I’m here with you every step of the way. What is the difference between a regular Pin and Rich Pin? Rich Pins are Pinterest Pins that show extra information (developers call that metadata) with the Pin. Here’s an example of a regular Article Pin and an Article Rich Pin. Notice how the first Pin only has the image and the title of the article. The Rich Pin shows the image, the title of the article the image was pulled from, the name of the article author, the website’s favicon (logo), and the article’s Meta description (summary). I think we can all agree that Rich Pin is the way to go. You can download the plugin here or search for it in your Plugins section of WordPress. Once you download it, activate the plugin. Click on the new SEO button that appeared on your WordPress Dashboard menu. Select Social from the list. 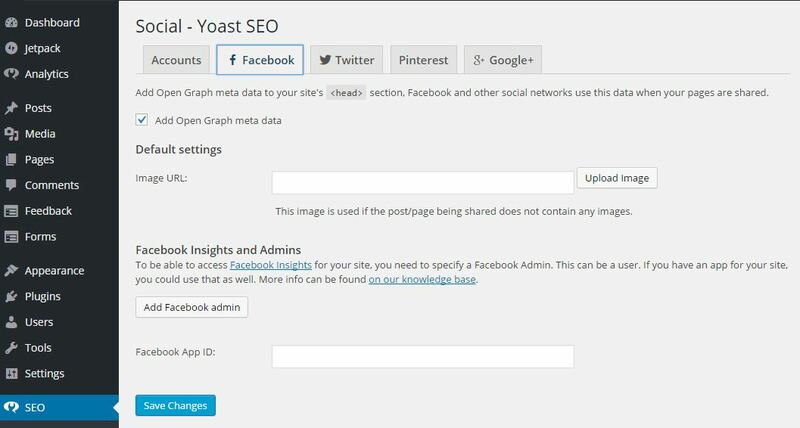 Click on the Facebook tab and check the box that reads “Add Open Graph meta data.” It’s this metadata that makes the magic happen with the Rich Pins. Open a new window, log into your Pinterest account and go to your profile page. To get to your profile page, click on your account in the upper right corner, next to the search bar. When on your Pinterest profile page, click the gear icon and select Edit settings. Scroll down to your profile where it says Website. Fill in your website there and click Confirm website. Pinterest will pop up a window with code. Copy that code and go back to your blog. Don’t hit finish yet! Now go back to your WordPress window and click on the Pinterest tab. Paste the code in the Pinterest verfication box and select Save Changes. Go back to your Pinterest window and hit Finish. You’re all set! 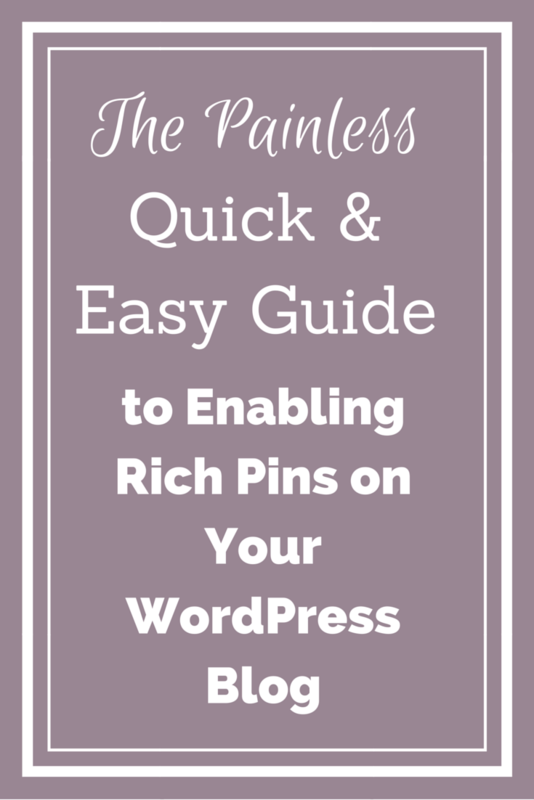 Congratulations, you just made your WordPress blog Rich Pin enabled! See, I told you it would be painless and quick and easy. And the bonus: Pinterest will automatically turn any Pins created before you verified your site into Rich Pins for you. Your work here is done!